Oral storytelling is the oldest method of transferring knowledge in human history. Stories are as old as human culture itself. And even though the medium may have changed, stories are just as important in today’s society as they were thousands of years ago. Through television, movies, books, the news, and even music, we hear new stories that move us and inspire us every day. Stories teach, inspire, entertain, and influence attitudes and beliefs in ways that facts alone could never do. Through a compelling story, you have the opportunity to inspire respect, understanding, and action that will hopefully lead to conservation. A good story can even rewire our brains, instilling emotions, such as empathy, that were never there before. Research has shown that it is stories, not facts, that change perspective and inspire behavior change, making stories our most powerful interpretive method. 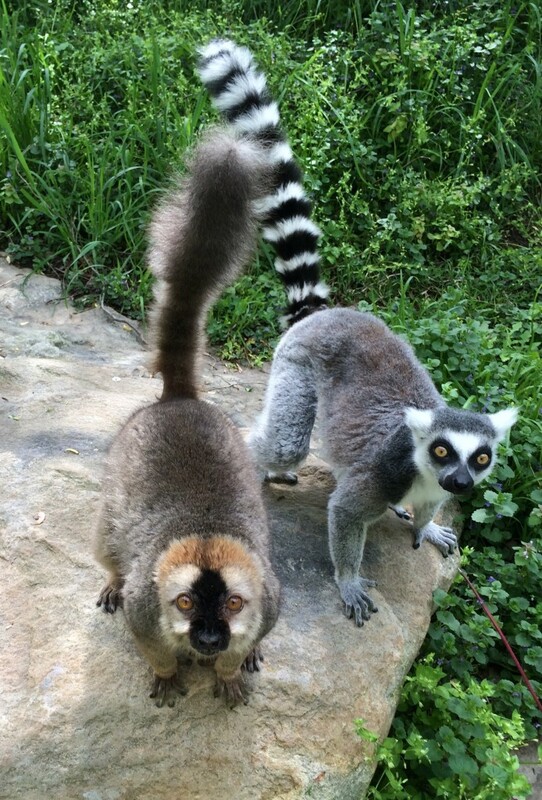 Red-fronted and ring tailed lemurs at the Smithsonian National Zoo! To tell the story of lemurs, to get every day people to care about saving lemurs from extinction, we need to answer the question, “why lemurs?” This question can be answered through cultural tribal stories of the lemurs, stories of their scientific origin, or stories of the important ecological role they play in Madagascar. Here are a few examples of how I have shaped the answer to “why lemurs?” into a compelling narrative that inspires conservation action. Some of the most compelling stories to be told about lemurs come from the myths told by local tribes, passed down from generations. Often these stories have a lesson or conservation action that can be associated with them. 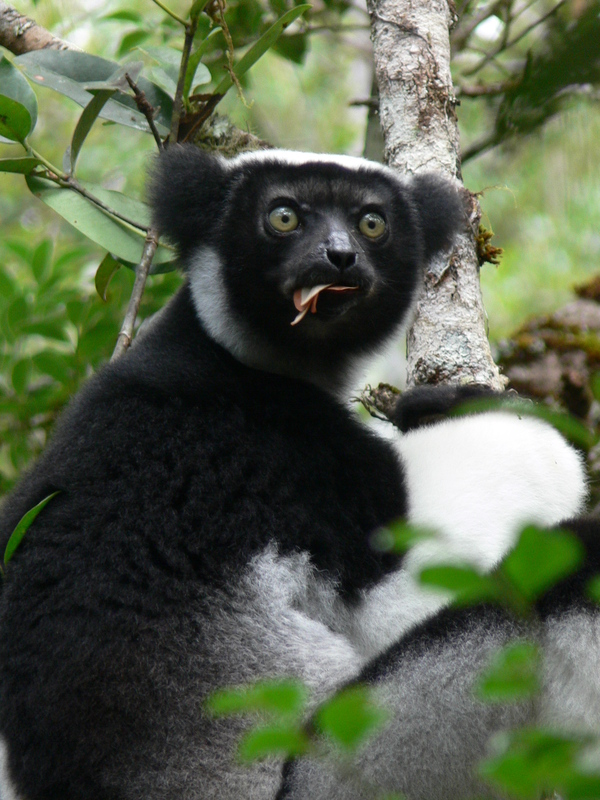 One of the most popular Malagasy stories tells of the creation of the indri. A long time ago, two brothers lived together in the forest. But one day, one of the brothers grew tired of the forest and decided to leave and cultivate the land. That brother became the first human, and the brother who stayed in the forest became the first indri. The indri’s distinctive call is it crying in mourning for his brother who went astray. The story can serve as a warning about the potential dangers of cultivating the land, and the benefits to preserving the forest. Many still believe the indri to be sacred and not to be hunted. They believe if a hunter were foolhardy enough to throw a spear at it, the indri would grasp the spear and hurl it back at the hunter. The indri has a story that helps it, but the aye-aye has one that hurts it. 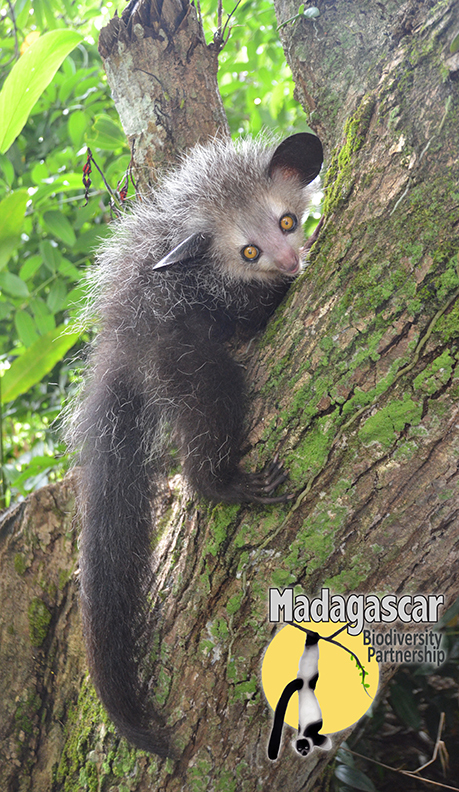 Villagers believe aye-ayes are harbingers of evil, and seeing an aye-aye means you will soon die. According to legend, the aye-aye sneaks into the dwellings of nearby villagers and uses its long middle finger to pierce the hearts of sleeping humans. Others believe if one points its narrowest finger at someone, they are marked for death. Some say the appearance of an aye-aye in a village predicts the death of a villager, and the only way to prevent this is to kill it. Thus, when one is spotted, their encounter with humans is often followed immediately by death. It is important as conservationists and conservation educators to be sensitive to the culture of local people, while still working to try to save animals in the region. There is a great story to be told that explains the origin of the name ‘lemur’, while also teaching about physical characteristics of lemurs. In the late 1500s, adventurers on a Portuguese expedition to the tangled forests of Madagascar were awakened from their sleep by haunting howls. From the darkness around their flickering campfires, the worried explorers saw shining eyes peering back at them. Some were convinced they belonged to the spirits of dead companions. The natural story of the lemurs begins over 70 million years ago, when lemur-like animals, the planet’s first primates, roamed Africa along with the dinosaurs. 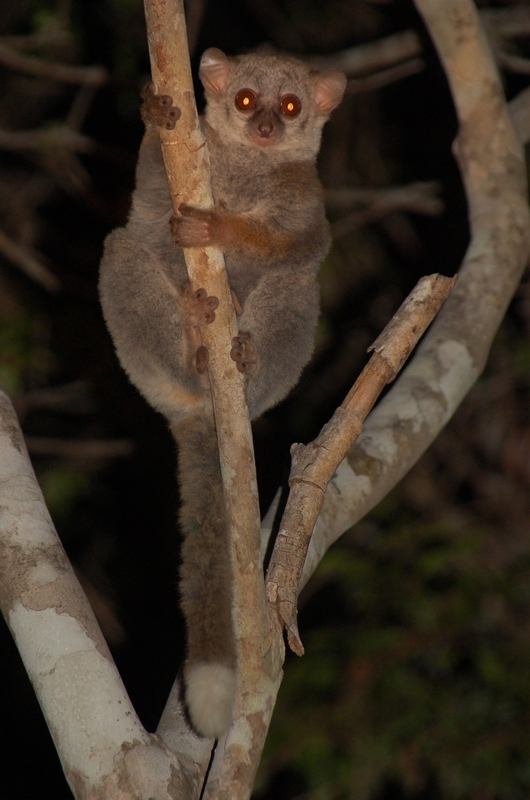 Around 65 million years ago, the lemurs rafted across the Indian Ocean to the island of Madagascar on rafts of floating vegetation. Over the next tens of millions of years, the lemurs evolved and diversified on Madagascar into the most varied group of primates on Earth. Some were even the size of gorillas! Now that you have told the story of the lemurs, establishing their importance and their worthiness to be saved, you have your audience hooked, and can talk about the actions they can take to protect such a valuable animal to the environment and people of Madagascar, and humans all around the world.